Key areas are much improved over 107. Easy to drive and park in town. Sprightly and lively petrol engines. Fabric-roofed 'Top' version available. 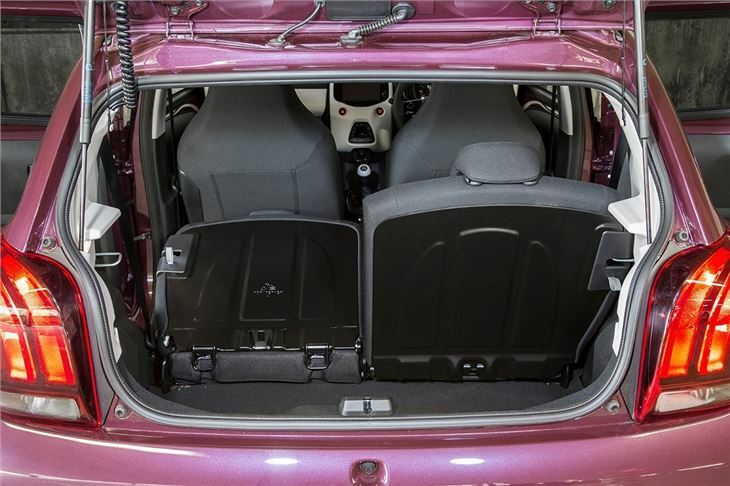 Overall package isn't quite as good as a Volkswagen Up. With its sharper looks and some plush options including a retractable fabric roof, the 108 feels like a more grown up car than the 107 it replaces. Quality, refinement and economy are all improved, but the car remains small, cheap to buy and cheap to run. It has all the ingredients to be just as successful as its predecessor – and to compete with the likes of the Volkswagen Up. 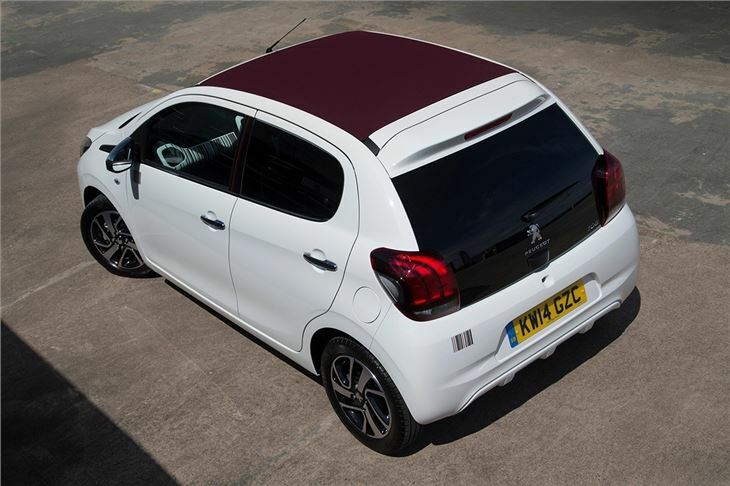 As before the underpinnings of the 108 are shared with Citroen and Toyota counterparts. 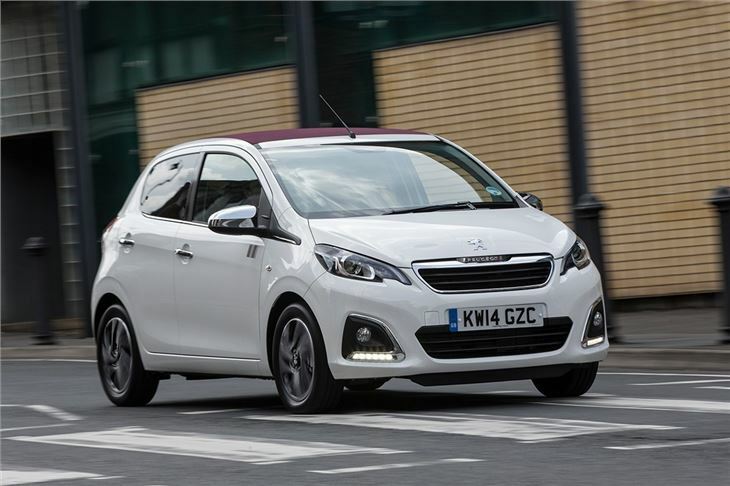 This time around each car has more individual identity and Peugeot has gone for a sophisticated look, as opposed to the Aygo's aggressive ‘crossed’ front or the Citroen C1’s cuteness. The 108 certainly looks more modern and stylish than the old 107. Two engines are available – a 68PS 1.0-litre three-cylinder petrol and an 82PS 1.2-litre three-cylinder. Both are efficient, with sub-100g/km emissions and economy of up to 74.3mpg, so running costs should be affordable. 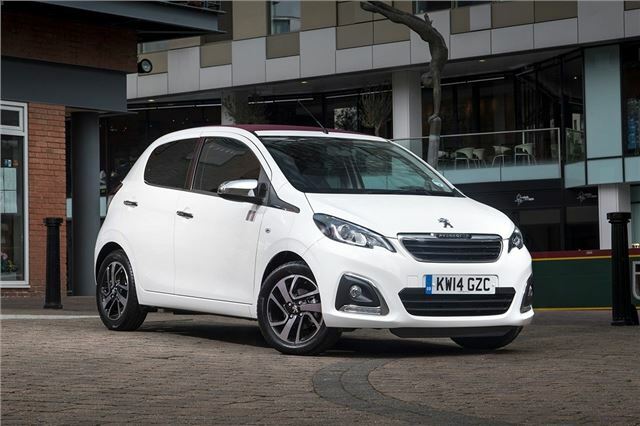 Additionally, Peugeot is offering the 108 on its Just Add Fuel lease scheme. This allows you to pay one monthly amount to lease the car and also covers servicing costs and insurance. The most important improvements to the 108 are in refinement and ride quality. It still has that three-cylinder thrum when pushed hard, but in everyday driving it is quiet and comfortable, absorbing all but the worst potholes and bumps impressively well. It’s also good on the motorway, although the extra power of the 82PS 1.2 really helps out here. 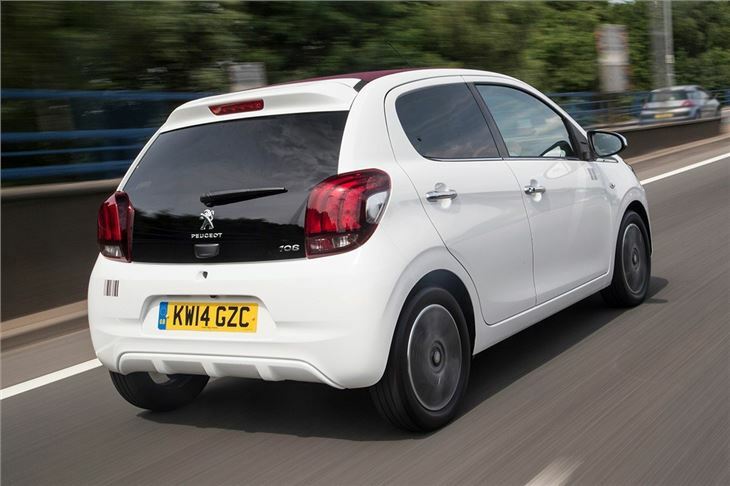 You can even have fun on a country road – the handling has been sharpened with new shock absorbers and a stiffer anti-roll bar, which means the 108 stays reasonably flat and composed through tight twisting roads. The steering could be better, but the 108 is nonetheless at home in town. Manoeuvring in narrow streets or in multi-storey car parks is made easier by the light power steering, plus visibility is fairly good thanks to big windows. 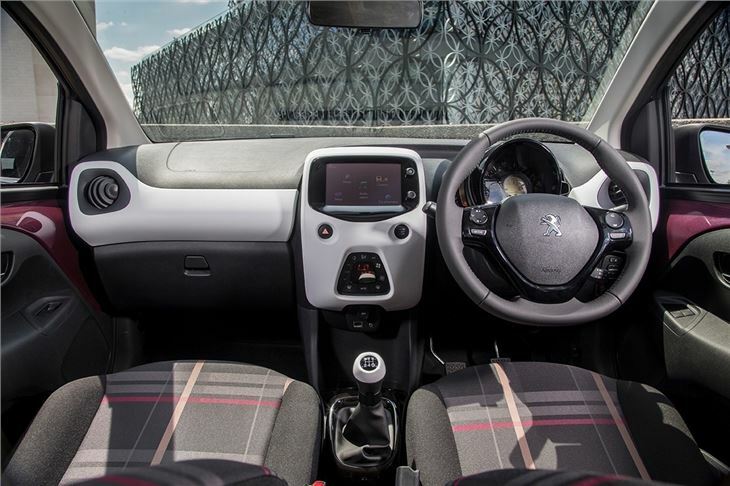 The cabin is functional and hardwearing, rather than plush, but it’s attractive enough and if you opt for a higher trim model you’ll get a big, colourful touchscreen system. It’s not packed with the most advanced features, but is simple enough to use. 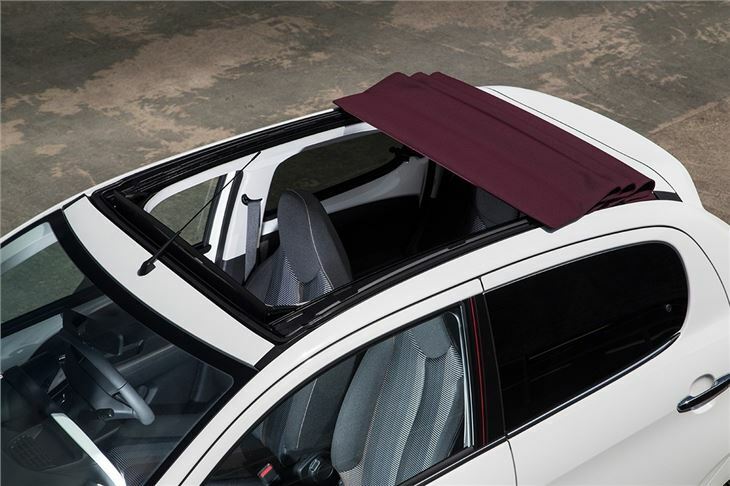 You can also customise the interior with graphics packs and there’s also a ‘Top’ model, with a retractable fabric roof. The 108 is a worthy little city car. Not only is it affordable but it looks good and drives well, plus it should prove to be cheap to run. It doesn’t feel quite as modern as the likes of the SEAT Mii and Volkswagen Up, but it isn’t far behind. For those who need cheap, urban transport with a little bit of style it’s the ideal little car. Great Apart From The Clutch.